Route profile pages have been completely reworked with a new look and feel, as well as more data and options. 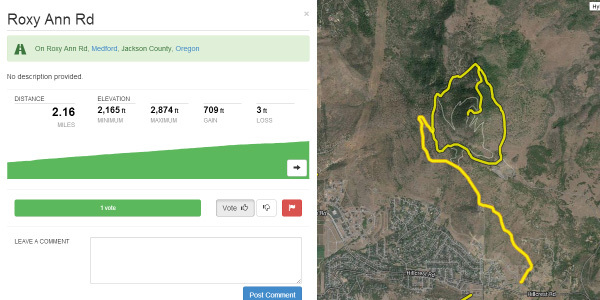 Profiles now open in parallel with the map view to make it easy to browse multiple routes in the same region. Vote routes up or down and leave comments. You can also let us know about incorrect, inaccessible or otherwise problematic routes using the Flag button. 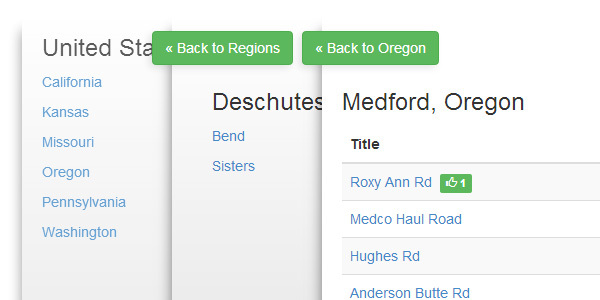 The new Browse Routes feature lets you drill down into available routes on the country, state/province, county and city level. Easily filter and find routes by location and distance. 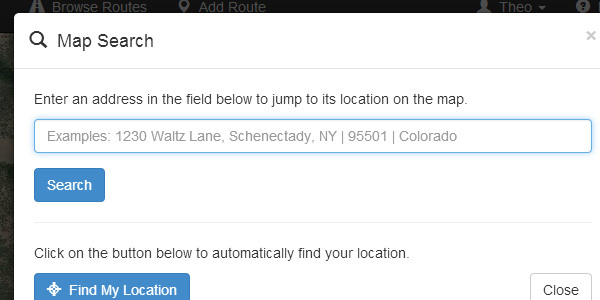 The Map Search field now accepts any location name, from exact addresses to ZIP codes to state names. You can also click on the Find My Location button to jump to your location (on supported devices). Receive site updates, information about new features and more by liking our Facebook page. We are working on another set of new features that will be released soon. In the meantime, please help us by reporting any problems or suggestions using the Feedback button in the header, or via email to info at gravelmap.com. The site is now only in its second week of operation. Our route database is growing daily, but we need your help. Please don't hesitate to tell your friends about the site, especially those in areas where we don't have any route data. With your help, we can keep spreading the ability to find the roads less traveled.